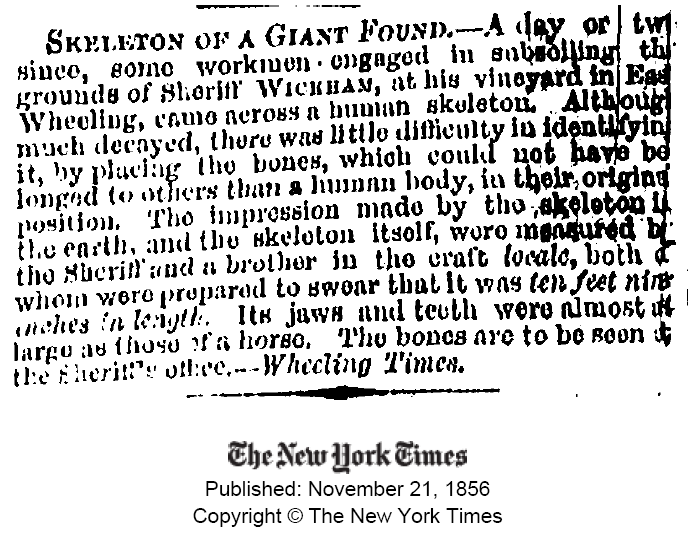 4 Giant Skeletons Discovered in Ohio. New York Times article from 1885. "Giant Indian Bones" found by railroad workers. 1904 New York Times.